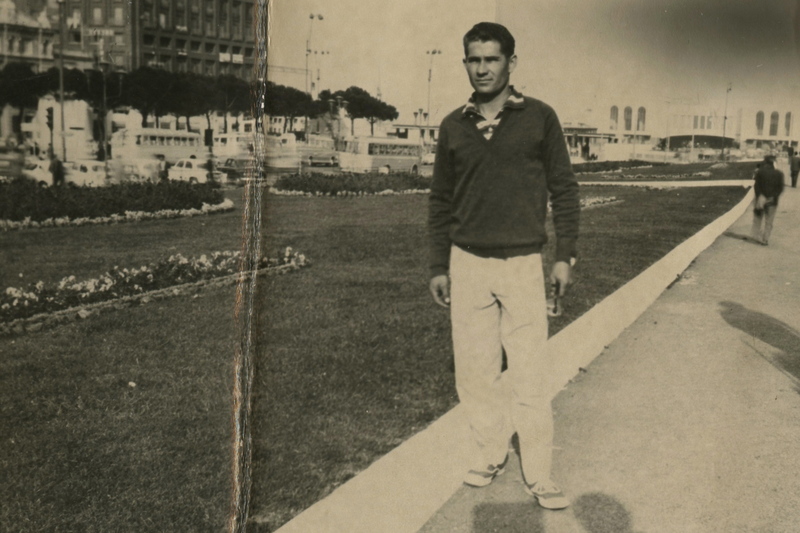 My dad in Naples, 1960, before his long ship ride to Canada. It’s March Madness time! If you aren’t a college basketball fan, March Madness is the tournament that plots the best college basketball teams against each other to determine a National Champion. Besides dramatic finishes, the part of March Madness I love the most is cheering on and celebrating the ‘Cinderella’ teams – generally the 9-16 seeded teams – that defeat powerhouse squads and then go on to unexpected runs in the tournament. You know, like the 2006 12 seed George Mason team that defeated basketball giants Michigan State, North Carolina, and Connecticut to make it to the Final Four. My affinity for the ‘underdog’ – either in sport or in life – might stem from my upbringing. Growing up, my sisters and I didn’t have much. Don’t get me wrong – I wouldn’t change that for the world. We were healthy, well-dressed, well-fed, well cared for and most importantly, VERY loved. We just didn’t have a lot of ‘stuff’. Looking back, I’m glad we didn’t because now as an adult, I appreciate the simple things in life and value what I have. But more than this, I think my dad’s story best explains why I love the ‘underdog’. You see, my dad was an ‘underdog’…a real ‘underdog’ in life. He would tell me stories about immigrating to Canada from Italy in 1960, by himself on a boat…with nothing and without a word of English. 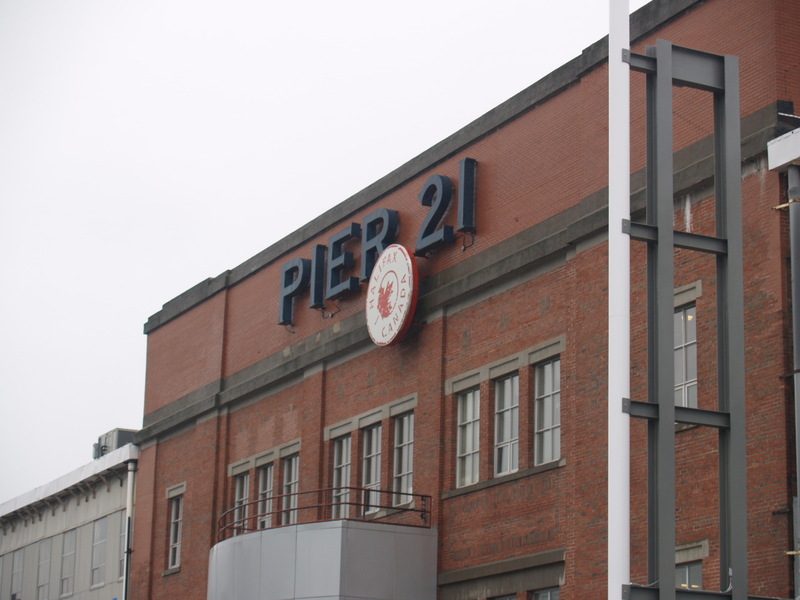 He landed in Halifax at Pier 21 and rode the train all the way to Vancouver. Two years later, in a construction accident in Saskatchewan, he lost the tips of three fingers on his left hand and returned to Vancouver unable to work. He eventually went back to Italy, found a wife (my mom) and returned to Canada. My dad worked hard physically – really hard – but it was next to impossible with a growing family to save enough money to buy a piece of land and build a house. With no assets, a bank loan wasn’t in the cards. Then one day, destiny intervened. Driving out to Langley to have a look at a 5-acre parcel of land he had heard about, my dad met Charlie Rae, the elderly man who owned the property. Knowing that my dad didn’t have the money (but also quickly realizing my dad’s character and integrity) Charlie offered my dad the property…on a handshake…$8,000 for 5 acres. “Pay me when you have the money,” Charlie said. Charlie Rae, his wife Ruby, and the Vendramin kids. I’m the one with the goofy bowl haircut (and the only boy). Charlie would become like a father to my parents, and like a grandfather to us children. Not only did he pull for the ‘underdog’, he did something that would forever change the life of that ‘underdog’ – he gave him a chance! If you work in schools, you work with ‘underdogs’ everyday. It might be the student who has physical, emotional, or intellectual challenges, someone who has suffered abuse or witnessed violence, children from refugee camps, families or single parents struggling financially, or those dealing with separation, divorce, or other trauma. Responding to the needs of these ‘underdogs’ is made even more difficult when you consider that often these are the more challenging students and parents in your school. I have a great vice-principal, Sundeep Chohan (@skc99) who I am fortunate to work, learn, and laugh with everyday. During a discussion following a very challenging ongoing situation with a parent, it became clear to us that as an administration team, and collectively as a school, we will be judged not only by the depth and quality of staff and student learning that takes place, but by how we persevere and deal with our most challenging parents, students, and situations… and how we support the ‘underdogs’ in moving forward. It’s challenging work – but work that connects with who I am. It’s also work that I love and am proud of. So, do I pull for the ‘underdog’ more than others? Maybe… but I like to think that there’s a little bit of Charlie Rae in all of us. Next Is This the Day? It’s a great story and I think it shows the power of trust and good will. What Charlie Rae did for your family was an amazing thing. He must have been a special person to have taken a chance on a total stranger. I’m glad that I came across this tonight, thanks for sharing your story. What a great story! What an amazing person your dad is and how fortunate you all were to find Charlie. He obviously saw something very special in your dad that knew that taking this chance on him would be worth it in the long run. He got somethingeven better – an extension of his own family. How very special for you all. I am also one to root for the Underdog. I believe that it is through how we reach out for and work with these children and families that shows who we really are as leaders and educators. It also demonstrates who we are as people. Thank you for your heart-felt post. It’s nice to learn more about you and your family. I had never heard that story from you, Antonio, but it now clarifies for me where your caring, empathetic character stems from. I hope you shared this with your parents. They would be so proud. It brought tears to my eyes (I’m sure you’re shocked ;)). A very powerful message that puts a lot of things in to perspective when dealing with students and parents. What…you? Cry??? Thx Kerry. My dad read it and cried…I did my job 🙂 thx for the great feedback. Charlie was truly a godsend for our family. Do you remember that Mr. Rae was offered double the price of the property after he made the deal with Dad? He was truly a wonderful man whose word meant more than money. 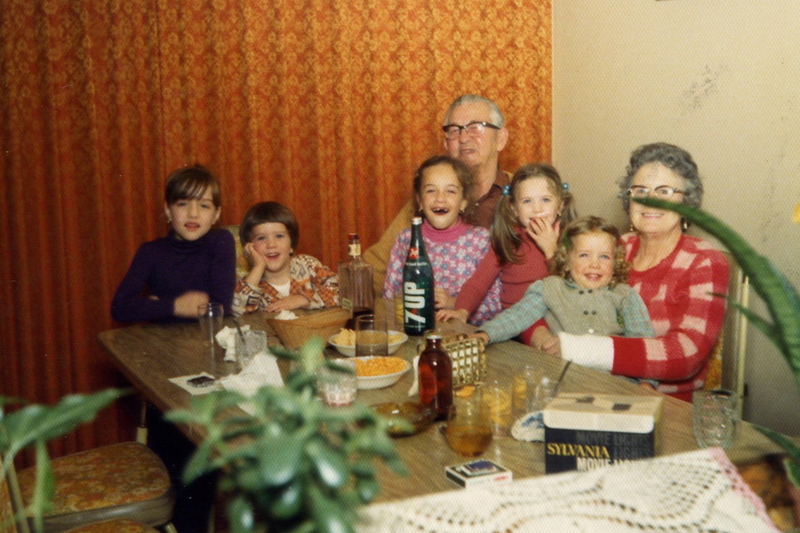 Thanks for the memories…..it brought tears to my eyes just thinking how lucky our family was to have meet Charlie and Ruby….our Canadian grandparents. Keep writing your inspirational stories. Love you Antonio! Antonio…thanks for sharing this. I have always thought that your kind way you originated from somewhere truly special. The gift of gratitude is what miracles are made of…keep doing what you are doing because your students are always going to remember….. Thanks for inviting us to read your blog. The pressures of classroom life are many, I don’t need to tell you! But our basic love for connecting children to learning, the possibility of a better life or a future with more possibilities than they currently see is so much more important. It is the time we take to see them, who they are and what challenges may be keeping them from their goals, even helping them define their goals, that is the job of teaching for me. They live in a complicated context of personal ability and disability that may include connecting appropriately with peers, family members and school staff, me included. One of the best gifts we can give our inner city students is the handshake your Canadian grandfather and your Dad made – a promise to believe in the other to do our best to accomplish our tasks. A great post, Antonio. My Dad had a connection like that with a young immigrant work colleague. He took him in like family when we were very young. Work took him in a different direction and we lost touch but when we posted my father’s accidental death in the paper he contacted us and told us the story. Because of my father’s kindness he named his son for my Dad. We all need to be that kindness to the lost, needy and lonely.